Over 2 years of working on and off this album of loosely associated pieces. Originally intended to be titled Moods, Cycles seemed to be a better explanation of the pieces. The album starts with City Lights, which had a digital release in 2014. The remainder of the album picks up on memories, ideas and thoughts of experience. 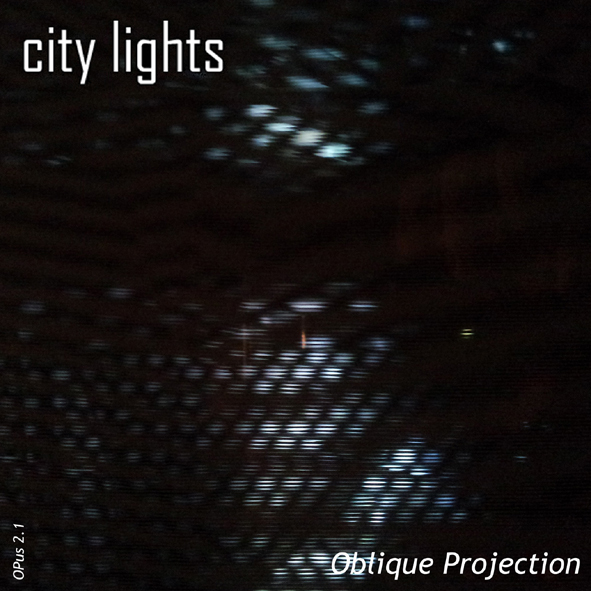 City Lights can be streamed on most major digital platforms and it is listed on soundcloud (see https://soundcloud.com/12publishers/city-lights-by-oblique). This is the second album in a live experiment of music development, to see where it leads, to capture interests and ideas I have had for years but there never seemed to be time. Time, I have found, however is elastic. So pressing the button to finalise the last piece Next Now was a release from worrying if anyone would find this remotely interesting. The question I had set myself was if Architecture could be considered “frozen music”, could music be considered dynamic Architecture. The works I had intended have been transformed by the work itself, getting in the way of an idea, manipulating it into something else. On MEC (our first album) the piece Cloudsea was closest to the objective but Chase was more dynamic, the former inspired by a work of architecture while the later was mapped to a piece of cinema (BULLIT). For those who have got this far in the blog the remaining may be only of academic interest but it might go someway to explain the inspirations behind the work rather than explain the work itself. Inspired by a remembered train journey on the TGV from Paris south. This has a tortuous birth, starting as Moonrave, but morphed into several versions before being stripped down to this. This is the most stripped down piece, largely a bass and drum track to finalise the album, clearing the ground for the next work. 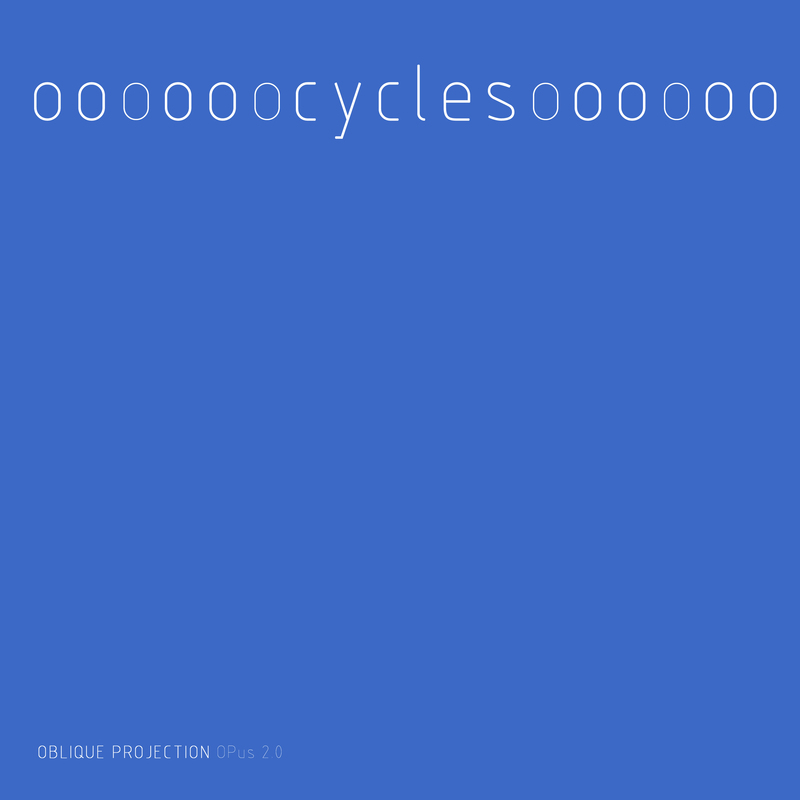 Cycles was meant to be the third outing for the Oblique Projection vehicle. Gardens of Kyoto has been in preparation for years now and is probably half complete, 5 of the planned 10 tracks are complete to a point that represents coherency and completeness. As for time, it may stretch out or be pulled back, I cannot say for certain when, but eventually it will appear. For the moment, Cycles will follow the Bandcamp presence with a digital release in about 4 weeks on all major platforms. A physical limited edition CD version may be released later in the year, depending on demand. To frame a busy, urban and often chaotic life Cycles might provide the soundtrack to your life.